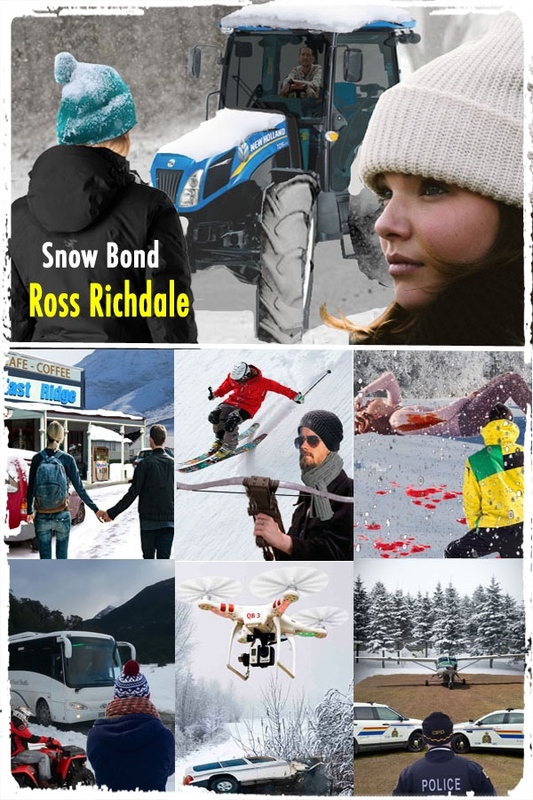 When the remote settlement of East Ridge in the South Island of New Zealand is isolated during a snowstorm, Renee and Tyler take in three stranded travellers Aza , Sofia and Ian. Without electricity or mobile phone contact and with all the roads around closed, the five are completely cut off from the world. There, they begin to bond and help one another with problems in their lives. Ian is a lawyer who tells Renee that her ex-husband is being investigated for murder of his child and attempted murder of a partner after a car crash. Circumstantial evidence is needed to show Larry Brooks violent past. Ian came down to the South Island to try to persuade Renee to be a witness at a trial that may eventuate. Aza is a lecturer at Auckland University who has had her work on genetic profiling, plagiarised from her PhD thesis by Professor Joseph Hardy. During their isolation at East Ridge, the five find they are being stalked and later attacked by an armed criminal. But who is being targeted? Is it Aza who is a threat to the professor at the university, Renee by the violent Brooks or Ian? However, Sofia is shot and wounded. Was she the target of the mysterious assassin or was it a mistaken identity with Renee or Aza being the intended target?